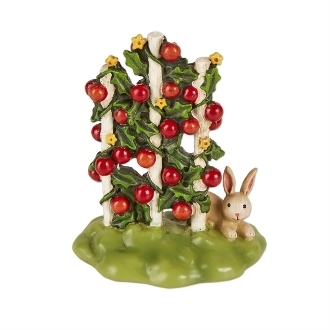 Tomato Garden with Bunny for Merriment Mini Fairy Gardening. Full Description: This bountiful tomato garden is perfect for a mini garden with a veggie theme! The bunny is an adorable bonus. Features all-weather paint. Made of resin.